The following is a list of Vancouver Rat Project achievements. City of Vancouver for "Developing urban rat surveillance systems" CAD$72,034 October 2017. Student Grants, Northwest Scientific Association for "Is Leptospira interrogans carried in rat saliva? Implications for transmission among rats and to people" USD$750, March 2017. Student Grants, Northwest Scientific Association for "Do extermination practices promote disease spread amongst rats? Assessing the impact of rat trapping on the ecology of Leptospira interrogans in urban rats (Rattus norvegicus)" USD$1,500, March 2016. Public Scholars Initiative, University of British Columbia for "Rat movement in urban environments: Does trapping influence the risk of disease spread among rats in Vancouver's Downtown Eastside?" $10,840, September 2015 - December 2017. NSERC Discovery Grant, Natural Sciences and Engineering Research Council of Canada for "Rats as a source for emerging zoonoses: Understanding the interactions between rats, pathogens, and the urban environment." $130,000, May 2015 - May 2020. Operating Grant, Canadian Institutes of Health Research for "Do rats pose a health risk for people living in Vancouver's Downtown Eastside? Understanding the ecology and epidemiology of rat-associated zoonoses in rats and people." $185,494, March 2012 - March 2014. Lee M, Byers K, Himsworth, CG. 2017. "The Vancouver Rat Project: The impacts of a common rat control method on the carriage of Leptospira interrogans by urban Norway rats (Rattus norvegicus) in Vancouver." 16th Annual BC Zoonoses Symposium. Langley, BC. November 15. Byers K, Lee M, Himsworth CG. 2017. "The Vancouver Rat Project: Understanding the relationship between rat ecology and pathogen presence in Vancouver's Downtown Eastside." International Urban Wildlife Conference, San Diego, United States. June 4-7. Byers K, Himsworth CG. 2015. "Rats About Town: Parasites and pathogens carried by rats in Vancouver, Canada." Wildlife Disease Association, Twin Waters, Australia. July 26-30. Byers K. 2015. "Of rats and men: Understanding zoonoses in urban environments." Nexus, Vancouver, BC. March 20. Rothenburger JL, Himsworth CG, Clifford CB, Ellis J, Treuting PM, and Leighton FA. 2014. "Survey of respiratory pathology in wild urban Rattus norvegicus and Rattus rattus." American Association of Veterinary Laboratory Diagnosticians/United States Animal Health Association Annual Meeting, Kansas City, Missouri, October 16-22. Rothenburger JL, Leighton FA, Lejeune M, Treuting PM, and Himsworth CG. 2014. "Lesions associated with Eucoleus spp. in the forestomach of wild urban Rattus norvegicus and Rattus rattus." American Association of Veterinary Laboratory Diagnosticians/United States Animal Health Association Annual Meeting, Kansas City, Missouri, October 16-22. Himsworth CG. 2014. "A serosurvey for exposure to rat-associated Leptospira interrogans in residents of Vancouver's Downtown Eastside." 13th Annual Symposium on Zoonotic and Communicable Diseases, Vancouver, British Columbia, August 13. Himsworth CG, Wood H, Dibernardo A, Lindsay R, Kosoy M, Bai Y, Bidulka J, Tang P, Jardine CM, Patrick DM. 2014. "An investigation of Bartonella spp., Rickettsia typhi, and Seoul hantavirus in rats (Rattus spp.) from an inner-city neighborhood of Vancouver, Canada: Is pathogen presence a reflection of global and local rat population structure?" The 69th Annual International Conference on Diseases in Nature Communicable to Man, Vancouver, British Columbia, August 10-12. Himsworth CG, Jardine CM, Tang P, Kerr T, Patrick DM. 2014. "The Vancouver Rat Project: Understanding the ecology of rats and rat-associated zoonoses in an inner-city neighborhood." 63rd Annual Wildlife Disease Association Conference, Albuquerque, New Mexico, July 27 - August 1. Himsworth CG. 2013. "The year of the rat: Community-based research in Vancouver's Downtown Eastside." 12th Annual Symposium on Zoonotic and Communicable Diseases, Surrey, British Columbia, November 25. Rothenburger JL, Leighton FA, Lejeune M, Treuting PM, and Himsworth CG. 2013. "Lesions associated with Capillaria spp. in the forestomach of wild urban Rattus norvegicus and Rattus rattus." American College of Veterinary Pathologists Annual Meeting, Montreal, Quebec, November 16-20. Byers KA. 2013. "Rats, parasites, and their associated pathogens: Understanding host-parasite dynamics in an urban ecosystem." SFU-UVic-UBC Ecology and Evolution Retreat, Brackendale, BC, November 1-3. Himsworth CG, Bidulka J, Parsons KL, Feng AYT, Tang P, Jardine CM, Kerr T, Mak S, Robinson J, Patrick DM. 2013. "Ecology of Leptospira interrogans in Norway rats (Rattus norvegicus) in an Inner-City Neighborhood of Vancouver, Canada." The 68thAnnual International Conference on Diseases in Nature Communicable to Man. Calgary, Alberta, August 12-13. Himsworth CG, Patrick DM, Kerr T, Weese S. 2012. "Methicillin-resistant Staphylococcus aureus and Staphylococcus pseudintermedius in wild Norway rats: A potential reservoir for these multi-drug resistant pathogens?" The 67th Annual International Conference on Diseases in Nature Communicable to Man. Winnipeg, Manitoba, July 22-24th. Himsworth CG. 2011. "The Vancouver Rat Project: A community-based, interdisciplinary study of rat-associated health risks in Vancouver's Downtown Eastside." 11thAnnual Symposium on Zoonotic and Communicable Diseases. Vancouver, British Columbia, November. Byers KA, Himsworth CG, Patrick DM. 2014. "Regarding Rats: Population Structure, Parasites, and Pathogens (a proposal)." Evo-Wibo, Port Townsend, Washington. April 25 - 27. Himsworth CG, Zabek E, Desruisseau A, Parmley J, Reid-Smith R, Cox W, Leslie M, Jardine CM, Tang P, Patrick DM. 2013. "Prevalence and characteristics of Escherichia coli and Salmonella spp. in the feces of wild urban and rural Norway and black rats (Rattus norvegicus and Rattus rattus): Implications for public health." Association of Medical Microbiology and Infectious Disease Canada - Canadian Association for Clinical Microbiology and Infectious Diseases Annual Conference, Victoria, British Columbia, April 2-5. Rothenburger JL, Clifford CB, Leighton FA, Treuting PM, and Himsworth CG. 2013. "Survey of respiratory pathology in wild urban Rattus norvegicus and Rattus rattus." American College of Veterinary Pathologists Annual Meeting, Montreal, Quebec, November 16-20. Rothenburger JL, Himsworth CG, Zabek E, Tang P, Parsons KL, Koehn M, Jardine CM, Patrick, DM. 2013. "Bacteria isolated from conspecific bite wounds in Norway and black rats: Implications for rat bite-associated infections in people." The 68th Annual International Conference on Diseases in Nature Communicable to Man. Calgary, Alberta, August 12-13. Lee M, Byers K, Himsworth CG. 2018. 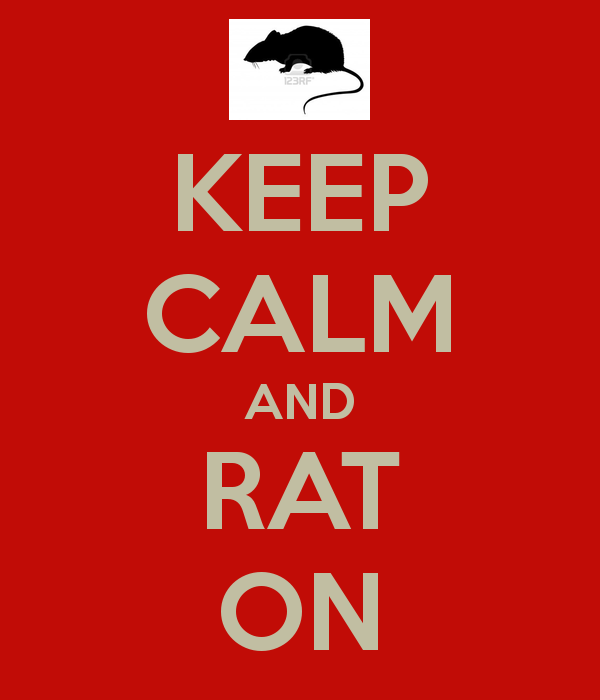 "Urban rats: The Vancouver Rat Project - Zoonotic diseases & management". A Meeting of the Minds XII, The Greater Chicago Pest Management Alliance. Chicago, USA. October 18. Lee M, Byers K, Himsworth CG. 2018. "How can we mitigate rat infestations at the scale of an entire city?" Washington State University Urban IPM and Pesticide Safety Education Program: Rodents; Rodent Surveillance and Rodenticides, Puyallup, WA, USA. March 15. Lee M, Byers K, Himsworth CG. 2018. "The Vancouver Rat Project: Rat ecology and pathogen carriage by urban rats in Vancouver's Downtown Eastside." Professional Pest Management Association Symposium, Burnaby, Canada. March 5. Lee M, Byers K, Himsworth CG. 2018. "The Vancouver Rat Project: Vancouver's own rat-dedicated research team." Structural Pest Management Association of British Columbia Annual Conference, Burnaby, Canada. February 3. Byers K, Lee M, Himsworth CG. 2017. "Rat ecology meets disease ecology: Implications for urban disease control." Pest Management Canada, Vancouver, BC. March 18. Byers K, Lee M, Himsworth CG. 2017. "Urban wildlife and antimicrobial resistance: Insights from the Vancouver Rat Project." Panel: Antibiotic Resistance in a Global Village. School of Population and Public Health Exchange, Vancouver, BC. March 3. Byers K, Himsworth CG. 2016. "Rats as sponges for pathogens: An update from the Vancouver Rat Project." Pestworld, Seattle, WA. October 18-21. Byers K, Himsworth CG. 2016. "Vancouver Rat Project: Using rat ecology to understand risks to human health." Environmental Health Officer Educational Day, Surrey, BC. May 11. Himsworth CG, Lee M, Coombe M. 2016. "Vancouver Rat Project - Understanding the Ecology of Rats & Rat-Associated Zoonoses." Structural Pest Management Association of British Columbia Annual Conference, Burnaby, Canada. Byers K. 2015. "Rats About Town - Parasites and Pathogens Carried by Rats in Vancouver's Downtown Eastside." Science and Technology Lecture Series, University of Vancouver Island, Nanaimo, BC. March 4, 2015. Byers K. 2014. "Vancouver Rat Project - Discoveries and Future Directions." Structural Pest Management Association of British Columbia Annual Conference, Burnaby, BC. February 6-7. Himsworth CG. 2013. "The Year of the Rat: Themes and Lessons from the Vancouver Rat Project." National Zoonoses Rounds. Animal Determinants of Emerging Disease Research Unit. Teleconference presentation, November 19. Himsworth CG. 2013. "Rats, Cities, People, and Pathogens: A brief overview of the Vancouver Rat Project." Keynote address for the Centre for Public Health and Zoonoses Annual Symposium. Guelph, Ontario, June 6. Himsworth CG. 2013. "The Vancouver Rat Project: A small taste of the dynamic interplay among rats, cities, people and pathogens." National Zoonoses Rounds. Animal Determinants of Emerging Disease Research Unit. Teleconference presentation, March 19. Himsworth CG. 2012. "The Vancouver Rat Project: A community-based, interdisciplinary study of rat-associated health risks in Vancouver's Downtown Eastside." Pest Management Canada 2012. Vancouver, British Columbia, March. Himsworth CG. 2012. "The Vancouver Rat Project: A community-based, interdisciplinary study of rat-associated health risks in Vancouver's Downtown Eastside." Presented in the Research-In-Progress Seminar Series sponsored by the Population Health Intervention Research Centre, Institute for Public Health, University of Calgary. Funded by the Institute for Public Health's Thematic Sub-Group on Population Health and Equity. Calgary, Alberta, January 25. Rothenburger JL. Richard B. Walker Bacteriology Award, for Best Oral Presentation or Poster on a Bacteriology Topic. American Association of Veterinary Laboratory Diagnosticians Annual Meeting, Kansas City, Missouri, Oct 16-22, 2014. Himsworth CG. Terry Amundson Presentation Award, 63rd Annual Wildlife Disease Association Conference, Albuquerque, New Mexico, July 2014. Himsworth CG. Wildlife Disease Association Graduate Student Scholarship Award for her work on the Vancouver Rat Project. The award acknowledges outstanding academic and research accomplishment, productivity, and future potential in pursuit of new knowledge in wildlife health or disease. Wildlife Disease Association, May 2014. Himsworth CG. CCM Dr. Kenneth Rozee Memorial Poster Award for Himsworth CG, Zabek E, Desruisseau A, Parmley J, Reid-Smith R, Cox W, Leslie M, Jardine CM, Tang P, Patrick DM. "Prevalence and characteristics of Escherichia coli and Salmonella spp. in the feces of wild urban and rural Norway and black rats (Rattus norvegicus and Rattus rattus): Implications for public health." Association of Medical Microbiology and Infectious Disease Canada - Canadian Association for Clinical Microbiology and Infectious Diseases Annual Conference, Victoria, British Columbia, April 2-5, 2013. Rothenburger JL. American College of Veterinary Pathologists Young Investigator Award Poster Competition, Natural Disease Category, 2nd Place for Rothenburger JL, Clifford CB, Leighton FA, Treuting PM, and Himsworth CG. "Survey of respiratory pathology in wild urban Rattus norvegicus and Rattus rattus." American College of Veterinary Pathologists Annual Meeting, Montreal, Quebec, November 16-20, 2013. Rothenburger JL. American College of Veterinary Pathologists/American College of Veterinary Laboratory Diagnosticians Diagnostic Pathology Travel Award, 1st Place for Rothenburger JL, Leighton FA, Lejeune M, Treuting PM, and Himsworth CG. "Lesions associated with Capillaria spp. in the forestomach of wild urban Rattus norvegicus and Rattus rattus." American College of Veterinary Pathologists Annual Meeting, Montreal, Quebec, November 16-20, 2013. Byers KA. Proposal Blitz Best Proposal for Byers KA. "Rats, parasites, and their associated pathogens: understanding host-parasite dynamics in an urban ecosystem." SFU-UVic-UBC Ecology and Evolution Retreat, Brackendale, BC, November 1-3, 2013. Project Name: "City-wide rat monitoring and mitigation: how can a centuries old tradition be updated using current frameworks around public health surveillance and ecohealth"
Project Name: "Effects of culling on Leptospira spp. prevalence in urban Norway rats (Rattus norvegicus)"
Project Name: "Rats, parasites, and their associated pathogens." Project Name: "Leptospira spp. shedding in the saliva of Norway rats (Rattus norvegicus)"
Project Name: "Host Disease and Environmental Factors Associated with Zoonotic Pathogens in Urban Norway Rats (Rattus norvegicus)." Project Name: "A survey of natural cardiopulmonary pathology in wild urban Norway and black rats (Rattus norvegicus and Rattus rattus)." Project Name: "Do rats pose a health risk for people living in Vancouver's Downtown Eastside? Understanding the ecology and epidemiology of rat-associated zoonoses in rats and people." Scholarships: Vanier Canada Graduate Scholarship, Bridge CIHR Strategic Training Fellowship, Four Year Doctoral Fellowship.